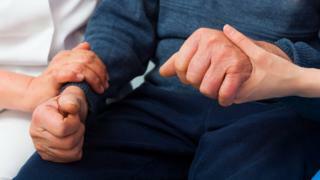 A review into a death at an East Sussex nursing home found a "lack of strong leadership" in coordinating his care. The 64-year-old Kent man died in July 2016 from systemic sepsis, soft tissue infection, diabetes and cirrhosis. Neither he nor the private care home are named in the East Sussex's Safeguarding Adults Board report. It found he repeatedly refused treatment for conditions including Korsakoff Syndrome, alcohol-related brain damage. His choice was "respected by professionals, despite that he had been deemed to lack capacity to make decisions about his own wellbeing", the report concluded. The South East Commissioning Support Unit was also criticised for placing him in a home unsuitable to his highly complex needs, and against his wish to remain in Kent. This was "compounded by a lack of proactive follow up". Graham Bartlett, independent chairman of the safeguarding board, said: "While no one factor influenced the outcome of this sad case, the way the different organisations involved interacted with each other is significant." The report added that a lack of communication was the most "telling feature" of this case. The report identifies 23 recommendations to try and avoid similar cases occurring in the future, while an action plan has been devised to ensure they are delivered.